If you’re a manager, at some point in your career, if you haven’t already, you’ll be required to participate in something called a “talent review” meeting. That’s HR-speak for a meeting where a bunch of managers get together behind closed doors and talk about their employee’s strengths and weaknesses. 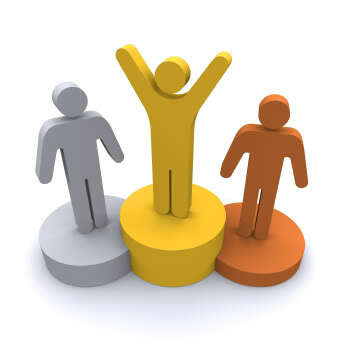 Like it or not, employee ranking is still a fact of organizational life. I’ve been involved in hundreds of these meeting marathons, both as a participating manager and as a meeting facilitator. 1. 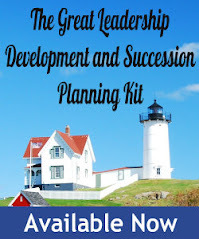 Succession planning and leadership development. Talent reviews are a way to assess the employees of an organization in order to identify high potentials, as well as underperformers. Management teams often use a performance and potential matrix to identify these “A”, “B”, and “C” players. 2. Downsizing. Many, if not most medium-large organizations use some version of a forced ranking process to determine who stays and who goes. 3. Performance appraisal and/or compensation administration. While not as common, some organizations involve the entire management team to ensure there is consistency and differentiation in performance rankings and rewards (increases and bonuses). While these meetings may have very different objectives, processes, and outcomes, there are some common things a manager should do to prepare and effectively participate. Why? Well, because if you don’t, you run the risk of looking like a dolt in front of your boss and peers. Even more importantly, you’re doing your employees and the organization a disservice by not representing them accurately and fairly. If this is your first talent review meetings, don’t be afraid to ask questions before the meeting. If you’re not clear on something, chances are, others may not be as well. There’s usually someone from HR involved in running these things – seek that person out and pick their brains. They should be able to explain the process and ground rules. DO NOT show up to the meeting ignorant and then waste everyone else’s time asking dumb questions. Gather up performance data, individual development plans, assessments, and anything else that can arm you with ammunition to defend your assessment of your employees. If there is criteria (and there usually is), bring plenty of specific examples that illustrate each criteria. If available, gather (discreetly) information about other manager’s employees as well. At a minimum, be prepared to offer opinions on as many employees as you’ve had exposure to and be ready to justify those opinions. Again, do not show up and try to “wing it” – your lack of preparation will be painfully obvious. 3. Take a “we” approach, not a “mine and yours” approach. Talent reviews are about shared ownership of an organization’s talent. It’s a time to be a team player. The objective should be to identify the best and worst in every department, not just your own. You’ll stick out like a sore thumb if you come across as too territorial and biased. 4. When speaking about your own employees, be candid, objective, and provide examples, both positive and negative. See tip #2. 5. However - be succinct and direct. No one is interested in your employee’s entire biographies. I’ve seen too many managers “think out loud” at these meetings, rattle on and on, and change their minds over and over. 6. Be prepared to listen non-defensively to the perspectives of other managers and be willing to change your ratings. Who knows, you might have had a HUGE blind spot about your superstar employee. If three other managers say your employee quacks like a duck, then maybe your employee is a duck. 7. Be engaged. When it’s another manager’s turn to discuss their employees, this IS NOT the time to pull out your Blackberry and tune out, or start a side conversation with your neighbor. Listen carefully, and offer candid, direct, and respectful opinions if you have them. 8. Take notes. Too many managers get caught up in the moment, but then a few days later, forget all about the feedback they received on their employees or action they agreed to. The exception to this tip is if HR does not allow you to takes notes from the meeting, which is common in downsizing meetings. 9. Follow the ground rules regarding what gets shared after the meeting. Usually, what’s said in Vegas stays in Vegas. Don’t be that idiot that violates the team’s confidentiality agreement. I hate it when you spend hours, or days, in these meetings and agree on actions to be taken. Then, six months later, some manager(s) shows up and hasn’t done a damn thing they said they were going to. There’s an easy way to make sure this never happens again, and it’s up to the senior manager to make sure there are painful consequences. In fact, the senior manager in these meetings plays a critical role in “training” other managers how to prepare and conduct themselves. One of my favorite executives ran his talent reviews with an iron fist. I took pity on the poor manager who didn’t prepare, follow the ground rules, and participate effectively. He was letting them know that talent management was an important priority to him – not just some HR exercise that he couldn’t wait to finish. I’m sure there are lots of readers who have participated in these meetings – what would you add to the list? All solid tips. I'd add "Don't be afraid to take a stance." In my experience these meetings can become so politicized and structured that each person worries more about being a team-player and seeming non-defensive. Be the leader who speaks strongly for the talent you want supported in your organization - whether they work for you or another leader. Don't allow rumours or grudges to be used as evidence of poor performance. Try going out on a limb for the next-level talent. It's ok to disagree and champion someone you really believe in. It scared me when I saw the subject in my email box. Why? Two days ago, the company I work for announced they were going to start a "Talent Assessment". It's not that I fear of losing my job, but the timing of this blog couldn't be more perfect. Thank you for the continuous blogs that really add value to the workforce. This is exactly what I needed, when I needed it!!! Thanks. And what a great tip, I love it when a leader goes out on a limb! Glad to hear it was timely and helpful, thanks! Buenos consejos, bastante claros y útiles para que se tengan en cuenta a la hora de estar en una reunión. Bien pensado y expresados, aunque muchos los seguimos no nos hemos parado a reflexionar de ellos. Good advice, clear and useful enough to be taken into account when you are in a meeting. Well thought out and expressed, although many still we have not stopped to think of them. What we look for in our company is conviction. We want someone to stand up for what they believe. Right or wrong, it shows the individuals ability to stay focused and make clear and concise decisions.